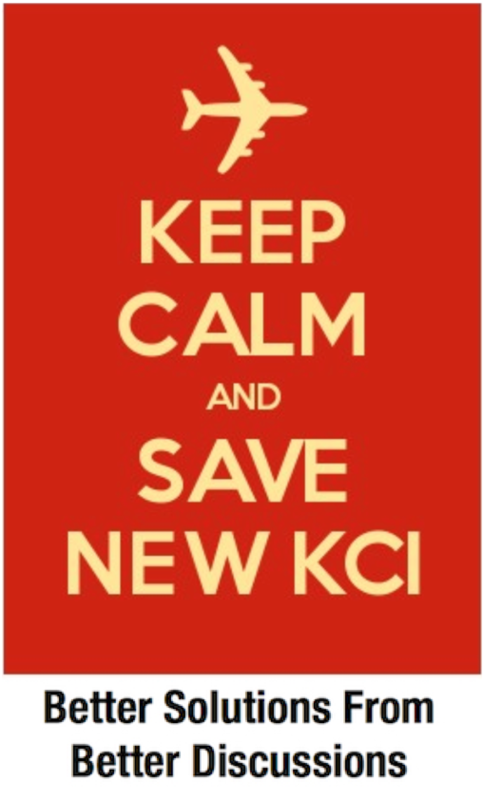 We Can Do Better Than This | Save KCI! 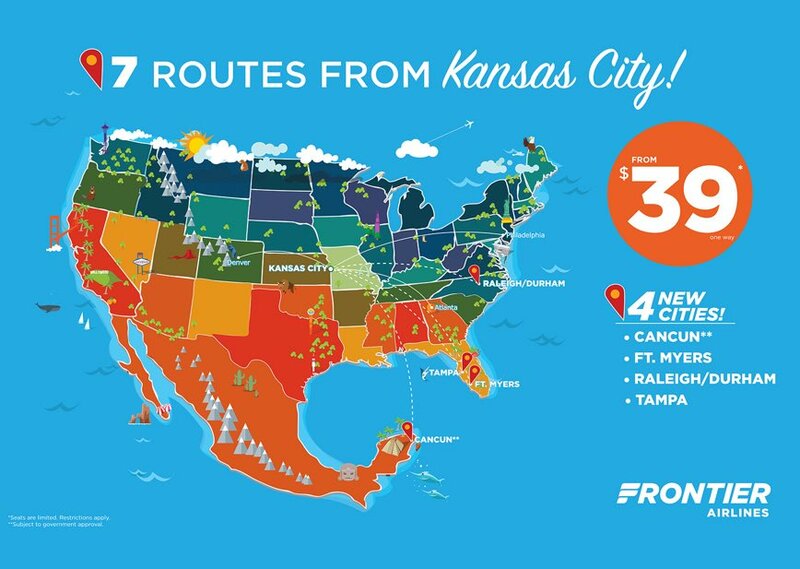 When I started this site in 2013, it was not because the idea of a new single terminal at Kansas City International Airport was necessarily a horrible one. It was because the reasons given for it were misleading and as was later proven in some cases, untrue. Thus, if the reasons given were not true and presumably those were the best reasons out there and we had to pay a PR firm over $100,000 to try to sell us on the idea, one can conclude that perhaps it WAS a horrible idea. Moreover, my personal use of KCI, as well as that of most everyone I knew, was great. So why not push back and ask the questions that were not being asked? Here we are now more than 4 years, two aviation committees, multiple airline lease extensions, one petition drive, one new aviation director, one mayoral pause/restart/pause/rewrite/reissue and hundreds of news and blog articles with varying degrees of accuracy later… and not much in the way of conversation content has changed. Both “sides” are still saying pretty much the same thing, speaking in vague generalities that can’t be substantiated, creating bogus numbers, looking for things that support their view and ignoring that which doesn’t, even when they know it’s not right. This is wrong. We can do better and to the extent that I have contributed to this, I apologize. We still can’t even agree on the number of gates we currently have. Some are still saying 90 between all three terminals. In fairness, the gate numbers go up to 90 and that may have been an original 1960s concept. A former aviation director said the best we could ever do was low 60s. However, the total number of jet bridges available now between A, B and C, due to renovations and other changes over the years is 47. This number comes from Justin Meyer, Deputy Director of Aviation, and a walking aviation and KCI almanac. And while the physical structure might be able to accommodate a few more, adding them would likely create other issues. And since we only have 31 gates leased now, 47 is a perfectly good number if for no other reason than to remove at least one point of contention. To Mr. Meyer’s credit, he seems to prefer to deal in facts and numbers. This is a refreshing change from the aviation director when this all began. I was once told by a reporter that he had a reputation among the media for saying whatever he felt like and when called on it, would simply say he was misquoted. Of course, he was not alone and we’re beginning to see the pie-in-the-sky numbers return from other sources. At a recent town hall it was suggested by one long-time single terminal apologist that there are 12,000 new jobs and huge economic growth riding on it. What are these new jobs? The construction sector is already near or at full-employment so many of those jobs will be filled by out of towners or workers simply moved from other local projects. There will certainly be a greater shortage of workers which could drive up costs for other projects. Has this been estimated yet? We already have an airport that employs hundreds. And some of those jobs in the areas of sky caps, bus drivers, ticket agents, and engineers will actually be lost due to automation and additional terminal parking. Will they be replaced by low-wage restaurant jobs? As far as attracting new businesses to the airport region, I don’t see anything in a new single-terminal to attract a business that does not already exist. Having a new Jack Stack BBQ on the other side of security does not help someone in an office on I-29. So please, itemize those 12,000 new jobs for us and tell us how many new businesses we’ll attract. Be sure it’s a number you are willing to stake your job on. A group of business organizations have come together under the banner of A Better KCI. This is an attractive and much more polished approach than the former head of the KC Chamber who liked to cite a survey of members showing “overwhelming support” for a new terminal. I personally spoke with several members of the chamber at that time, including someone who claimed to be on a chamber board, and none recalled ever seeing a survey and nearly all of them did not want a single terminal. I’m not saying the survey did not exist, but let’s see it. Likewise we were told then that we had lost conventions due to our airport (independent of not being a major hub with hundreds of non-stops) but none of those could be cited by name nor by quantity of conventioneers. This reminds me way too much of the vague “trust me it will be great” generalities we heard 4 years ago. You may be 100% correct and we need a single terminal yesterday, but please be specific for those who have been trained these past 4 years to be skeptical of the stated reasons. Growth and Jobs? Again, be specific per my comments above. Convenience? I can usually get from the curb to my gate in 5 minutes. Coming home I can be from the airplane door to my home in less time than it takes to get to the baggage claim at some airports. Everyone knows that will go away. Addition of more adjacent terminal parking will certainly cut the time for those in economy parking but at an increased daily price. Better WiFi and electrical can be added now. Other than the Pork and Pickle in the Southwest area, the current dining amenities are rarely if ever maxed-out. So what exactly are you considering when you speak of conveniences and amenities and have you weighted them? I love Jack Stack but for me it’s a fraction of the value of that 5 minute curb to gate. Regarding security and technology, TSA told the Mayor’s Airport Terminal Advisory Group that our current multiple checkpoint layout spread over a large area afforded security benefits over a single check-point. It’s a smaller soft target and in the case of a breach, the smaller areas are easier to secure and can be done without having to evacuate the entire terminal. In fact, during a Council tour, there was an incident in Terminal C that required such a shut down and it did not impact their tour nor operations in terminal B. It’s been estimated that we were able to save the airlines in B nearly a million dollars in flights that were not cancelled during the shutdown in C. (I would also include that under “convenience” for the many hundreds of Southwest and Delta passengers whose flights were not cancelled.) TSA also told us that next generation technology would be smaller thus requiring less space and that we would not save an appreciable amount of money consolidating as they would not allow us to eliminate more than one or two aisles from what we have now. So how does a single-checkpoint that eliminates the benefits we now enjoy give us stronger security and more modern technology? Major league status? St. Louis spent a billion dollars on a runway, lost the airline they built it for and have now lost their NFL team. San Diego spent a billion dollars on their airport, is about to spend another two billion and lost their NFL team. The Royals won the World Series and hosted the All-Star game with this airport. Of course, I know you mean something broader and more abstract with the term “major league” but since it is so subjective, please elaborate about the objective benefits. Please remember that after a prospective new citizen or business passes through our “front door” (not as quickly as they do now) they will most likely pass through aging neighborhoods, rail yards, and broken school districts before arriving at their first meeting or home tour. If you don’t fly, you don’t pay. I agree with this for the most part and frankly I think it’s been blown up as a straw man issue. Most opponents of the single-terminal have not been arguing that it was being paid by tax revenues. They were arguing that the assertion that the “airlines are paying for it” was untrue. The airlines agreed to pay rent, with the option of negotiating a new lease before the bonds were paid off if it was not working out for them. They had the additional option of simply taking their planes elsewhere if they could be more profitable NOT operating under the lease terms. And likewise “taxpayers” do pay for it since most passengers are taxpayers. We’re just not using tax revenues. Some might argue that since the city would no longer be able to borrow from the airport to support its TIF obligations as it has in the past, that could lead to higher taxes to make up the difference. Likewise, increases in parking or other costs to business flyers would most likely be passed down eventually to consumers. However, both of these arguments while true, are relatively small in the overall conversation. We’ve been having essentially the same conversation for 4 years leading to not much more than increased distrust for “the other guy.” We’re ALL tired of it and again, I apologize for my own contributions. But just like a bank would never loan a business money for vague generalities and unprovable claims, the voters deserve better than blue sky and straw man arguments. Let’s not go down the same road again. I think the traditional argument has been that if one of the major airlines based a fleet hub in Kansas City Missouri, there would be an immediate spike in demand for gates. With the American Airlines fleet at 950 planes that would only take 5% of their fleet to be stationed here to demand 50 gates. With the population standing at around 2.2 million across the metropolitan area and attractive flight times between DFW and ORD(falling around 1:30 minutes) It doesn’t hurt to prepare the airport to expand out exponentially. With the size and growth of Denver international since it’s opening in the 1990’s, there is no doubt that there is an immediate need for a potential spill over airport in the Midwest. Let’s remind folks of a list of lies, in no particular order, told by people in charge of airport. Feel free to add on. 1. It’s impossible to add plumbing for restrooms inside security. 2. TSA Precheck will never come to KCI as the concourses are too narrow. 3. The ankle high faucets and basins in the taxi holding area were built so cab drivers can wash their vehicles, not for Muslim foot washing rituals. 4. No additional airlines will offer service to KCI due to its layout. I didn’t think so, I think in term if we wanted to invite a major Mainline in to Kansas City International we would re-build one of the main terminals to suit their needs. What I think was the problem is most did not want a huge fleet of MD-80s and Boeing 717’s operating a connection fleet between DFW and ORD without making a number of direct coast-coast flights and international flights available. While the connection fleet concept is very attractive we are wanting a mainline that is bringing the appropriate leadership along to operate something better than a low-cost fleet, needless to say we want an airline that is going to furnish hotel rooms in the event of layovers; along with onboard meal and beverage service. I think overall we have the dignity of Crown Center to uphold and to mandate a strong set of standards for such an airline. Thanks Kevin for the comprehensive reflection; you’ve captured the difference in views about airport modernization concisely enough so that anyone new to the playing field, should they choose to, can get up to speed on the range of conversation going back to 2013. I particularly commend you on the breakdown of the construction labor force availability issue. It points out once again that timing is not just a matter of “financing” availability. Given the evident concerted effort (described here – http://www.urban.org/policy-centers/metropolitan-housing-and-communities-policy-center/projects/cost-segregation), over three decades toward putting this Region at the top of the list of most economically and culturally segregated large cities in America – that is not “civic leadership” I would advise any potential transfer-to-KC candidate to follow. That is evidence that matters; and it’s right out there for everyone to see! Bill – this study is specific to KCMO, not the entire metro area (which the airport serves). I am confused on your point. 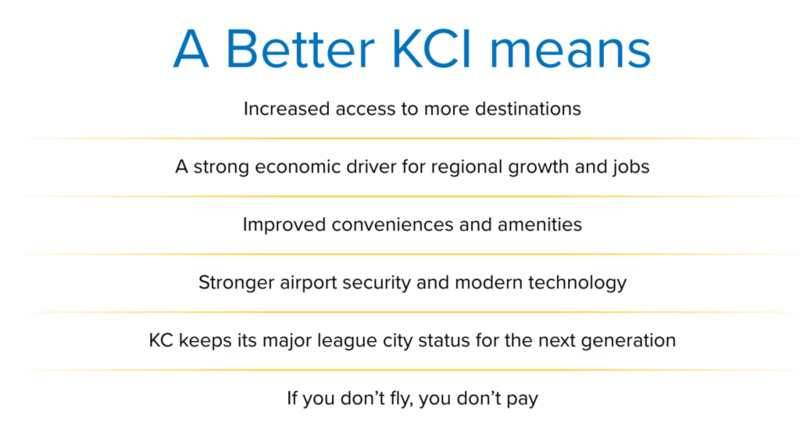 I know you are bending over backward to be fair to the proponents of a new KCI, but the bottom line is that, even if all the proponents’ claims are valid (and I certainly agree with your skepticism), convenience trumps all else. We, the people, are happy with the airport as it is, and as you correctly implied, any such major change would result in LESS convenience (and no doubt higher costs) for the KCI passenger. I pointed out in a reply a few weeks ago that the answers to your questions posed above, regardless of what they are, will not likely change anyone’s mind. The “powers that be” have made up their minds and will not be swayed except by an overwhelming defeat in the referendum which I understand must precede any action on this. So I ask again: What efforts are under way to defeat this nonsense by a public vote? Is there a committee that is looking for volunteers and accepting donations for a PR campaign? Shouldn’t a firm be hired to design a run of pro-status-quo ads? I and I’m sure many others would like to help. Logical discourse hasn’t worked. Isn’t it time for action? Doug – convenience is in the eye of the beholder. Those who can get to the gate in 5 minutes without issue are happy with KCI the way it is. Those who travel frequently and can never find a good parking spot, are unable to sit in a chair in the hold areas because there are too many people flowing in and out would disagree with the convenience claim. Better WiFi and electrical has been added, if I am not mistaken. Convenience can mean different things to different people. I show up to the airport only to find all circle and garage spots taken and then have to park further away only to show up to hold areas that are jammed pack. With the geometry of the airport limited to 36 ft from window to security wall, space is tight. Why then aren’t all new/renovated airports being pushed to adopt the security layout that KCI has today? Please remember that after a prospective new citizen or business passes through our “front door” (not as quickly as they do now) they will most likely pass through aging neighborhoods, rail yards, and broken school districts before arriving at their first meeting or home tour. What if they are going straight to Overland Park or Mission Hills, does the same logic apply? Doesn’t the airport serve more than KC? I believe you are a resident of KC, does your description above reflect your neighborhood? Having followed this site for a few years, I am confused on the overall intent. 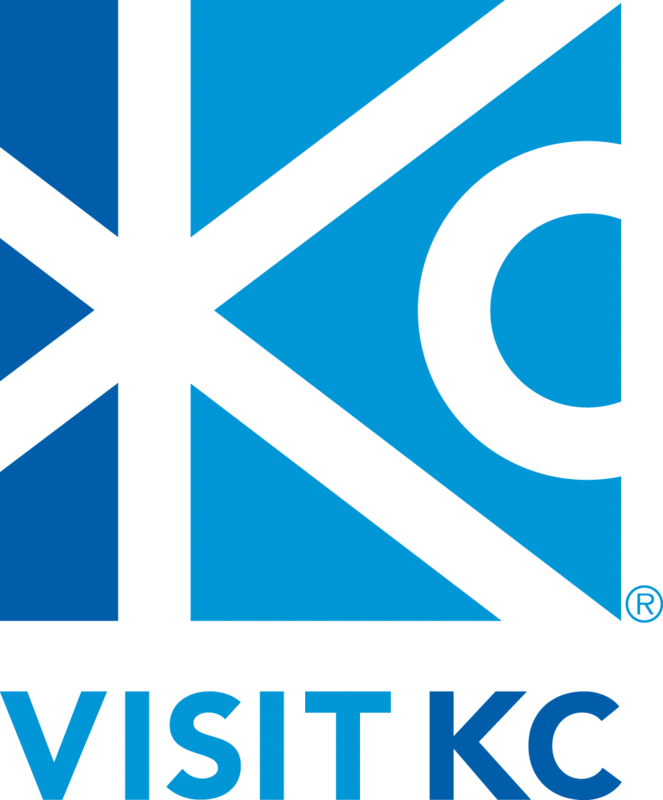 Is it truly about keeping KCI as-is? Or keeping the cheerleaders honest about the single terminal? What does “better solutions from better discussions” even mean? Should we start all over and appoint brand new lawyers, consultants, mayor and city council to see how they would navigate? I agree with your point on convenience and shared what works for me. I was pointing out that the “cheerleaders” are still speaking in broad terms that don’t fit everyone and perhaps not even a majority. RE: Security I have no idea. Perhaps the expense of building separate facilities from scratch? I’m just sharing what TSA told the city. While I obviously pray this never happens, one backpack bomb in a crowded pre-screening area and people will start talking about it. Our society tends to be reactive instead of proactive. Yes on the OP/MH drive as it would take them down 635 through KCK or past the downtown airport. It would not apply if they came straight to my neighborhood but they would see a lot of corn fields. The site was never about keeping KCI as is if good reasons were presented for change. Sometimes I pushed back much harder to counter momentum behind reasons that were clearly off but had momentum behind them. As I mea culpa’d, I’m sure I overstepped in frustration a couple of times but from the beginning it was about trying to have an honest conversation. This is why I’ve been appreciative of your contributions and have tried to respectfully engage over the years so that together, along with others, we can figure this out. Thanks Kevin. I appreciate the site and the ongoing dialogue.